Looking for Movers in Columbus, GA? A.C. White has been serving Georgians since 1926. Whether you are moving to or from Columbus, we have the family-owned feel and the global resources that you can count on to make your next move a pleasant one. We are a 4th generation family owned company, and for the last 90+ years we have been perfecting the art of moving. Only A.C. White has the level of experience and resources that you should expect from a moving company. Contact us to learn more and receive a free quote for moving in Columbus. A.C. White can provide a tailored moving program just for you whether you are moving to or from Columbus. A.C. White will assign you a personal moving coordinator who will be there for you every step of the way. You can pack some or all of your belongings yourself, or you can leave it all in the capable hands of our movers. Either way, we will arm you with the information and tools necessary to complete a successful move. 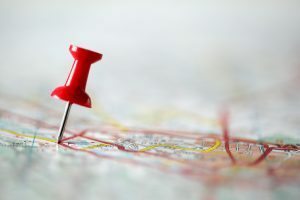 Get a FREE quote on your next move in Columbus. Moving your business takes planning and experience to avoid downtime and keep your business running smoothly. A.C. White has been serving business moving needs in Georgia for more than 90 years. It is that experience matched with the latest equipment and global resources that set us apart from other moving companies. 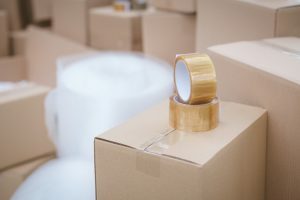 We take time to prepare your new space to avoid any damages to walls, floors, and other surfaces during the move, and we will even clean your previous space after the move is complete! Learn more about our office movers in Columbus, GA.
All storage units are NOT created equal. A.C. White’s Columbus storage facilities offer many benefits that you will not find in mini-storage or self-storage. Listed here are few of the advantages to our storage. Explore all of the details of A.C. White Storage in Columbus. A.C. White is proud to serve the Columbus area, including, but not limited to: Alexander City, Americus, Auburn, Dawson, Eufaula, Columbus, Griffin, LaGrange, Newnan, Opelika, Peachtree City, Phenix City, Thomaston, Troy, Tuskegee, and Valley, AL. Our service range includes but is not limited to customers within the following zip codes: 31829, 31901, 31902, 31903, 31904, 31905, 31906, 31907, 31908, 31909, 31914, 31917, 31993, 31994, 31995, 31997, 31998, 31999.